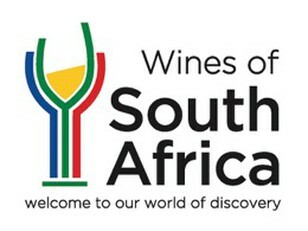 Wines of South Africa (WOSA) is pleased to announce the second running of the ‘Discover South African Wine Campaign’, a month-long, market-wide campaign in April, inviting consumers to explore the quality and diversity of South African wine. Participating restaurants, bars, retailers and wine clubs will offer special pairing menus, happy hour, discounts and free tasting during the campaign. 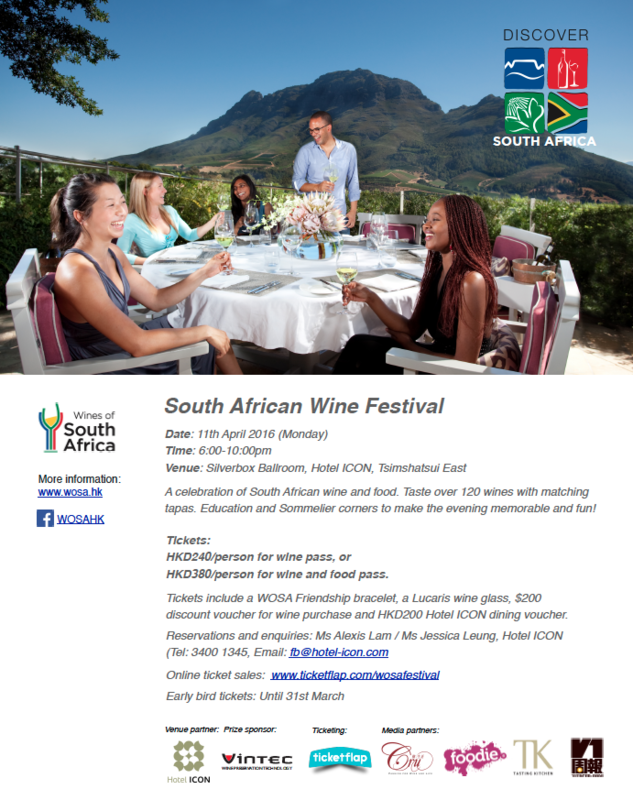 Please refer to the full list of participants at our website www.wosa.hk. The highlight of the month-long campaign, we invite wine lovers to taste over 120 South African wines at a walk-around tasting event. Discover South African favorites such as Chenin Blanc, Pinotage and Méthode Cap Classique (sparkling wine with second fermentation in the bottle). Explore our white and red blends, as well as other varietals, produced across a wide spectrum of styles. Sommelier and restaurateur Neil Grant from the South African Sommelier Association will lead a series of short but informative tasting sessions on different styles and grape varieties of South African wine at the festival. Not only will guests enjoy the delicious wine, they can also participate in the wine aroma blind smelling game, and take home some useful wine tips such as wine/food pairing from Ace Lee, Senior Sommelier of Hotel ICON. PLACES ARE LIMITED. GET YOUR TICKES NOW TO AVOID DISAPPOINTMENT.